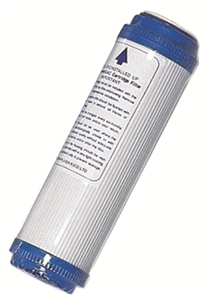 Water Filters by HealthyWaterSupply - Free Shipping| Standard 10' G.A.C. Prefilter. Granulated Activated Carbon, can remove up to 95% of VOCs, TOCs, chlorine, chemicals and others contaminants. Standard 10' G.A.C. Prefilter. Granulated Activated Carbon, can remove up to 95% of VOCs, TOCs, chlorine, chemicals and others contaminants. Standard 10" G.A.C. Prefilter. Granulated Activated Carbon, can remove up to 95% of VOCs, TOCs, chlorine, chemicals and others contaminants. Compatible as a substitute for following pre filters: Watts Premier 56 cubic inch GAC (granular activated carbon) filters.